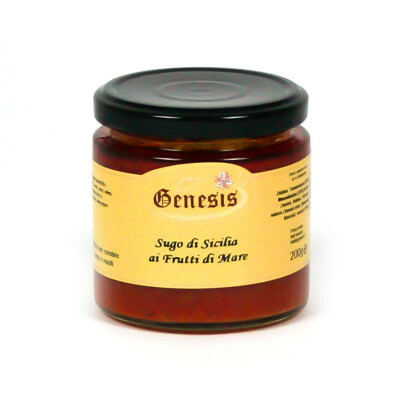 A delicious ready-to-use seafood pasta sauces to enhance your first courses with a Sicilian twist. One of the most important aspects of Sicilian cuisine is the quality of the ingredients used. Sicily, like many other areas of Italy, still follows the seasons very closely. It is virtually impossible, for example, to find non-seasonal fruit or vegetables in most greengrocer's. 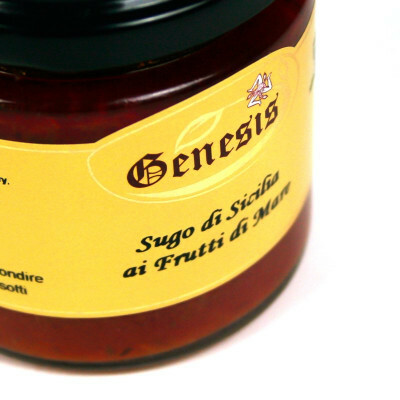 The result is that ingredients are fresh, often produced in Sicily (or Italy) and are wonderfully fragrant and tasty. Tomato sauce, seafood 10%, carrot, onion, parsley, extra virgin olive oil, white wine, sea salt. FISH.